Yes folks, you can still eat pizza on a low carb or gluten free diet! This base holds well and you can even eat it with your hands, just like the real thing! You can probably make a garlic bread out of the base too…slathered with garlic butter, add some cheese….sorry, have had to mop up my drool from the keyboard..
•Preheat the oven to 180C/350F degrees. •Combine all ingredients in a bowl and mix well. 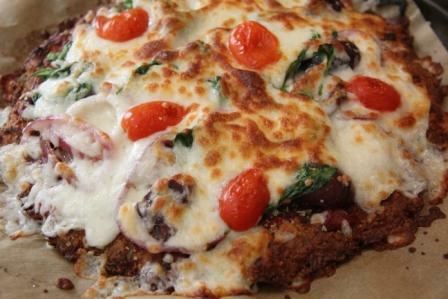 •Place the ingredients on parchment paper and press out into a pizza base, about 1/4 inch thick. •Remove from oven, spread with your pizza topping of choice. 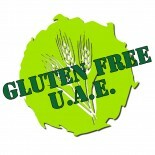 This entry was posted on 06/01/2012 by glutenfreeuae in Bread & Pizza, Recipes and tagged cheese, gluten free, glutenfree, low carb, pizza, YUM.